I'm quickly approaching one of those moments were if I don't stop and remind myself to take things one step at a time I will lose my mind. In addition to repeating the phrase "one thing at a time" to myself every 15 minutes, the best thing to do is to work on something that requires focus on process. It's time to build a book. When "building" anything one must focus on the steps required to complete the task. This isn't purely about creativity. It is about process. Not following each and every step accurately can lead to devastating results; so one must follow a checklist and review one's work to ensure quality. Not a bad exercise for someone who needs to regain some focus. My current exercise in sanity is a 9x12" half leather book with five cords. To date I have; torn down and folded paper into 15 signatures; punched holes in each signature and sewn them together around linen cords; formed, rounded and smoothed the spine; created and attached headbands; and attached 98 davey board covers to the linen cords. It is as this point a fully functioning book. 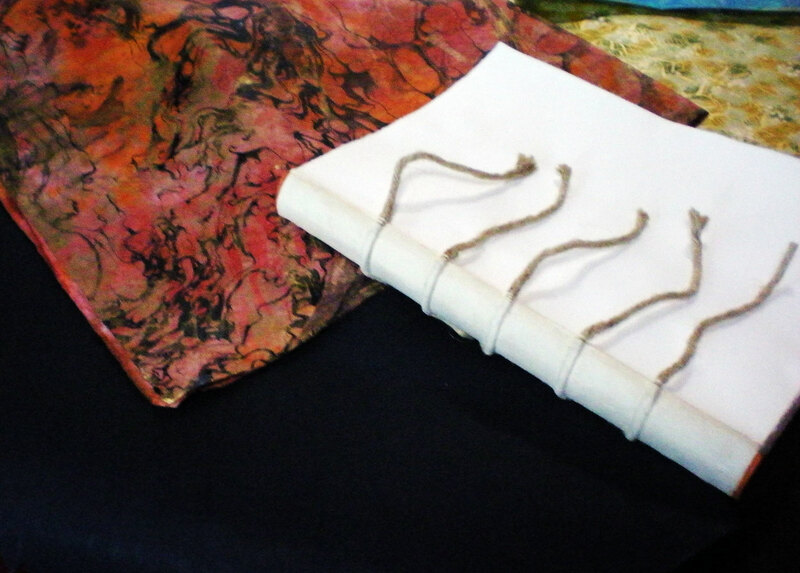 Above, the text block prepared and ready for covers, is being used to select the best leather and paper options for the book's cover. This weekend, I will finish dressing the book with black leather and a Japanese marble paper and end by adding a contrasting leather doublure to match the headbands. This book will be similar to the one made last October, only even bigger. 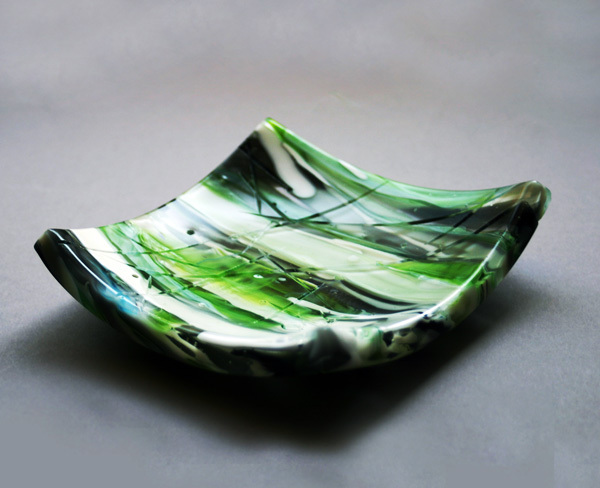 A green hue seems to illuminate through the piece past shades gray and white. It was after reading an article on glacial ice that I started work on this piece. Although I doubt it bears any true resemblance to glacial ice, it is what I imaged in my minds eye when reading the article. Glacial ice contains rock flour, tiny bits of rock , clay and minerals, in suspension from the grinding action of the glacier against the mountain sides. These particles refract the blue and green spectrum of the sun's light. Layers of sediment reside trapped between frozen layers of water and air. It strikes me just a bit ironic that I melted glass to create this piece while at the same time glaciers around the world are melting at astonishing rates. Their illuminant blues and greens melting into milky grays of glacial rivers. For the last three years I have lamented over the loss of our seasonal wildflowers to the drought. I didn't realize how ingrained they were in my physical calendar until they where gone. 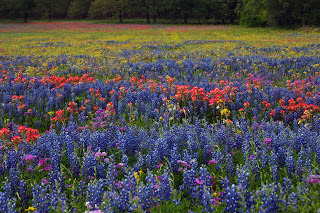 Just as I was beginning to forget how beautiful a Texas Spring could really be... BAM the perfect conditions for a fabulous wildflower season. The drought that disturbed me so much killed back the grasses that typically compete with the wildflowers for space. Combined with a cold and wet winter we are about to have one of the biggest wildflower seasons in quite sometime. So, giddy with excitement, this Easter weekend I hopped in the car and headed just South of San Antonio where the warm weather has started the wildflowers off with a bang. The landscape looks like God took the tips of his fingers and sprinkled enamels dense with color across pastures, along roadsides and on the oilfields. Our state flower the Bluebonnet along with countless other wildflowers are already making a strong showing in the South. They talk of the colors of an East Coast fall, which I hope someday to see in person. 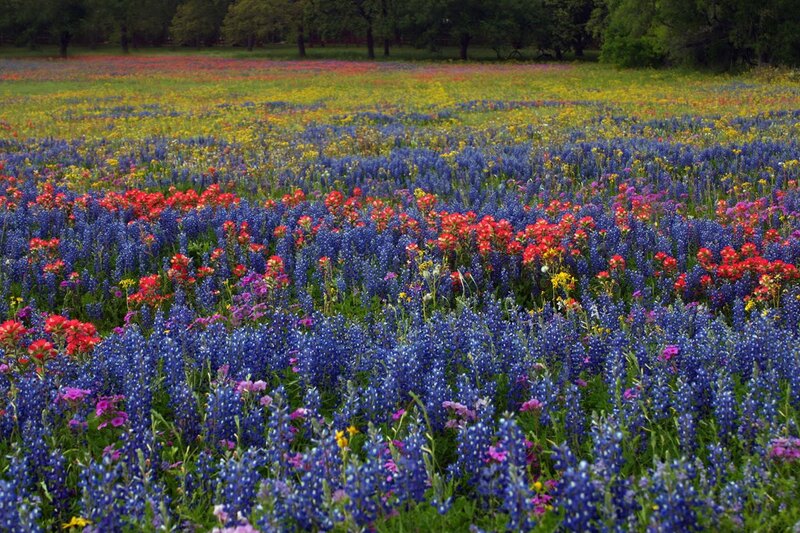 But it's the colors of a Texas Springtime that are in my blood. 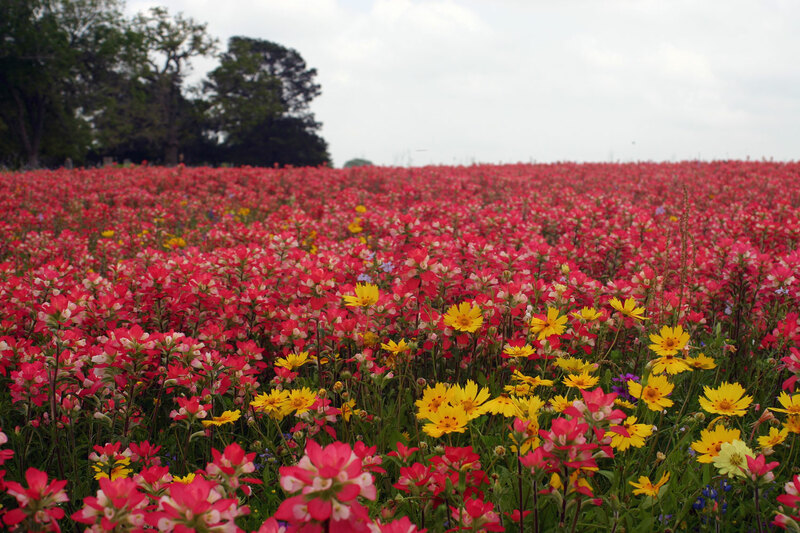 Entire fields are carpeted in the coral color of Indian Paintbrush. The bright yellow of a Slender Stem Bitterweed making an occasional appearance. This is a beautiful sight that if you have an opportunity to see this year I would not miss. Today was one of those days where what must be done and what you want to do coincide beautifully. I was scheduled for a visit to Artisans at Rocky Hill in Fredricksburg, Texas. The perfect opportunity to turn my back to the city and enjoy the fresh air, scenic drive and a little of adventure. To start with there is nothing so relaxing as a morning drive along the Perdernales River with a good cup of coffee and a view of the rolling hills. 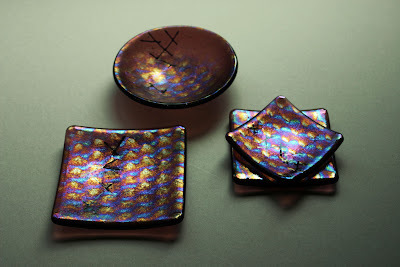 First stop a visit with Anne who selected some shiny new pieces to add to the Artisans at Rocky Hill gallery. These iridized glass items display a brilliant metallic shine reflecting a rainbow of colors that stop you in your tracks. Now it would be a shame to have driven all this way and not explore a bit while I had the chance. So, I hit the streets for a little adventure. It wasn't long before the camera came out of the bag. Many of the shops on Main Street have fabulous basements (a rarity in Texas) and patios, full of magical surprises and visual texture. All of this lead me to Rather Sweet where I enjoyed a healthy lunch. Followed by an amazing piece of carrot cake (this counts as a vegetable right?) which rivaled the one I had a Papa Hydan's while in Portland last June. Last stop before leaving was Showcase Antiques. An amazing display of cut, pressed and cast glass antiques. Sure there was silver, china and other items but who cares. I was looking at the glass. Standing in a small room that sparkled with the reflection of light off of hundreds of cut and faceted surfaces it was difficult not to be amazed by the brilliance. 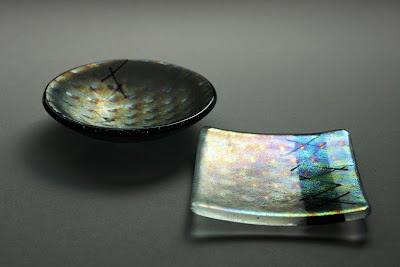 I could imagine the various skilled craftsmen who confidently took their crystal to the lathe with perfect execution as the repeated patterns over and over again. 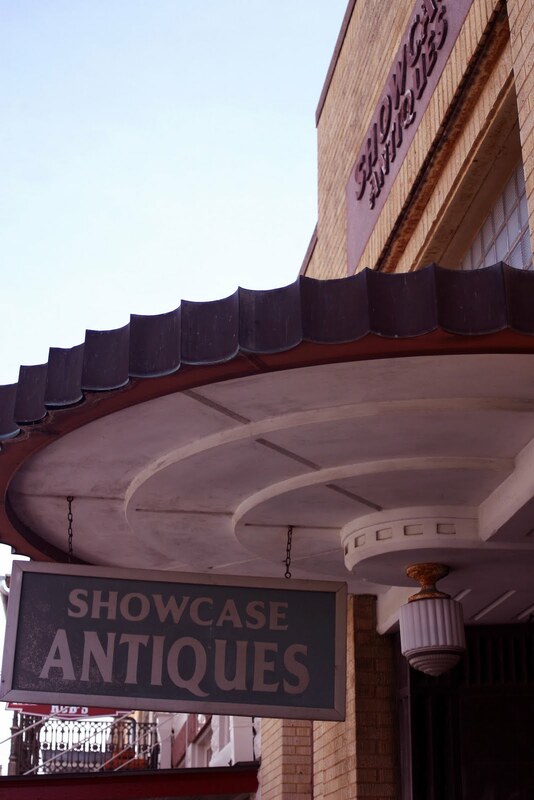 The staff at Showcase Antiques was only to happy to share their knowledge and talk about individual pieces. This place had the reverence of a museum and the excitement of a candy store. It will hard not to think back on this experience the next time I'm standing in front of the lathe with a piece of glass in my hands. This all came to an end with a meandering drive down farm road 1346 through the small town of Sisterdale before turning east toward Kendella and US HWY 281S which brought me home. I'm already looking forward to a return visit in several weeks by which time I imagine the wildflowers will have made their appearance on the Hill Country Landscape.